1. Surubi (a type of catfish) at Bolsi in Asuncion, Paraguay. 2. Tea and cake at Skonis ir Kvapas in Vilnius, Lithuania. A cosy little cellar-like tearoom, it even sells beautiful painted cups that are a million miles from twee Royal Doulton china. Visit in winter and the city takes on a magical quality, the fondant coloured buildings dusted with snow. 3. Tambaqui at the Uakari Lodge in the Mamiraua Sustainable Development Reserve, Brazil. An unforgettable place to spend some time in the heart of the rainforest, the food here is local and sustainable. Of the many tasty river fish (the reserve operates a fishery policy which local villages sign up to), my favourite is tambaqui. Enjoy one of the amazing fresh juices from the forest fruits as howler monkeys roar from the treetops. This is not a luxury resort by any stretch, but they do great work with the local community. 4. 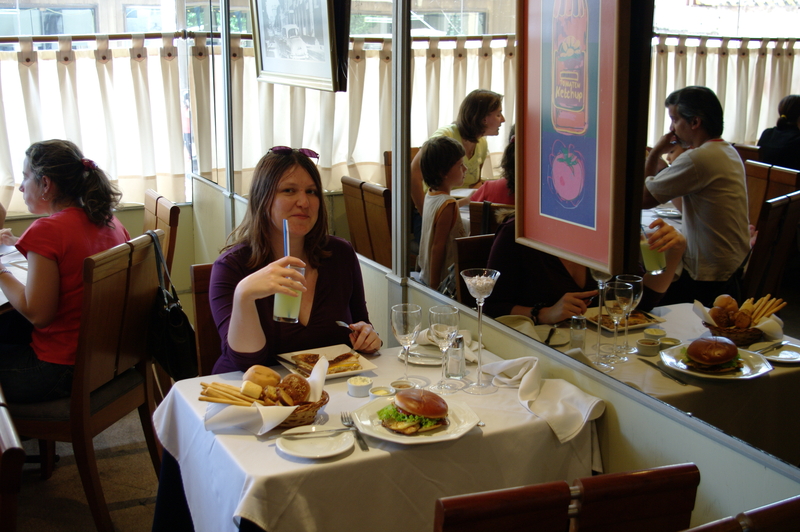 I know this is sacrilege, but the best caipirinha I ever had was not in Brazil, but in Buenos Aires. The Azerbaijani food in Vilnius was fantastic. Especially in international cities with a diverse mix of nationalities, you can eat Brazilian one night, Greek the next. So get out and find where the locals eat! 5. Gelato from Il Gelato di San Crespino, Rome. Six years on I still remember how amazing the flavours were.